Reading Muhlenberg CTC provides many opportunities to work on student projects. Our Career and Technical Student Organizations enable students to work on community service projects, participate in leadership activities, and present projects at CTSO competitions. Individual shop areas also participate in activities which relate to the program of study. 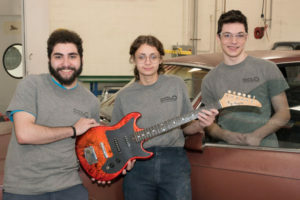 Participation in projects allows students to make a difference in the community while learning a trade and adding to their portfolios.